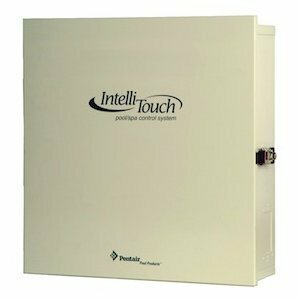 Pentair IntelliTouch Power Center- Offers a smaller footprint than the Load Center. The Power Center does not include a circuit breaker base. Users should choose this enclosure if they already have existing circuit breakers/sub-panel for their equipment.